The best monthly package we offer that contains the full range of Herbalife products to get you the best results in the quickest amount of time. 2 amazing weight-loss meals per day. Added protein powder for greater feeling of fullness. Multivitamin complex to keep you healthy and strong during your weight loss. Fibre tablets to get rid of toxins faster. A fat-burning tea. Supplements to keep make sure you get the most nutrition from your meals, and to give you additional energy during the day. 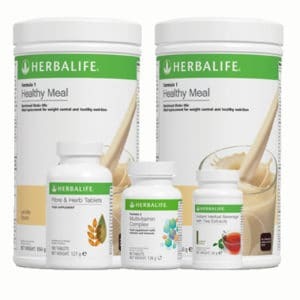 In short, a complete daily menu for amazing weight loss results. 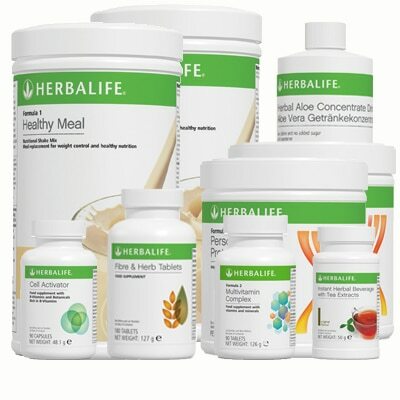 If you want to know more about the individual products that make up this package, just click on the links above. 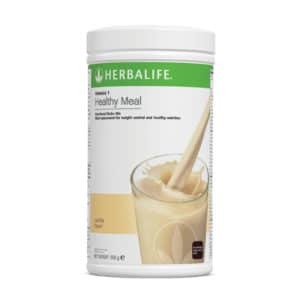 A nutritionally rich, calorie-poor diet meal, with only 220kCal per serving. Comes in 8 delicious flavours, and is a hassle-free solution to always having something healthy to eat at hand. A fantastic product for people who want to lose weight. Meant to be added to the shake to make it more filling, creamy and tasty. 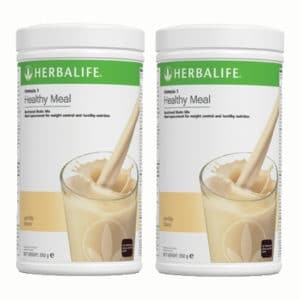 The blend of whey and soy proteins is a perfect balance to keep your muscles healthy while making sure that you only lose unsightly fat during your weight loss programme. Even though we all know that fibre is an important part of our diet, only a few of us get enough of it during the day. These tablets are an easy solution for that and will help you with your bowel movements as well as speed up the passage of food through your gut. 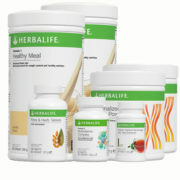 If you want to get the best rate of weight loss, you need to make sure your body is healthy and at the top of its game. This unique blend will boost your immune system and provide you with key vitamins and nutrients that are hard to get through food alone. Made from green and black tea, this gently flavoured beverage will provide you with energy and alertness while speeding up the rate at which you burn fat. A great substitute for sugary drinks and coffee. An all natural formula that boosts your metabolism, protects the cellular structure of your body and makes certain that you extract the maximum nutritional value from all the food you eat. A delicious, soothing drink that will be a great alternative to soft drinks and unhealthy juices. Drink throughout the day. 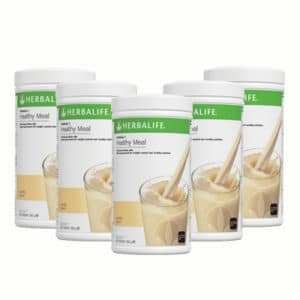 Replace 2 meals per day with the Formula 1 + Formula 3 shake. 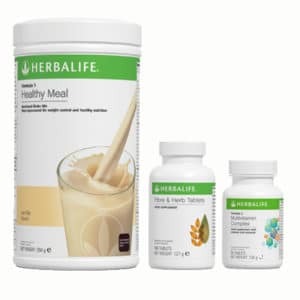 To make your healthy diet meal, just mix 2 flat tablespoons of F1, 1-2 flat tablespoons of F3 and 250ml of skim milk or water. For the greatest taste and texture, we recommend you use a blender. Take 1 Multivitamin tablet before each main meal, so 3 in total per day. Take 2 Fibre tablets before each main meal, so 6 in total per day. 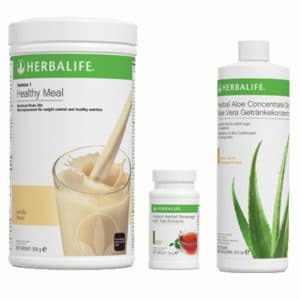 Mix 1.5 tablespoons of the Herbalife Tea with 1.5l of water to drink throughout the day. You can consume it either hot or cold, as you like. Take 1 Cell Activator capsule before each main meal, 3 daily in total. Mix 3-4 capfuls with around 200ml of water, according to taste, and drink all through the day.